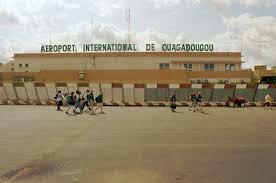 The government and partners will inject about 12.2 billion CFA francs into the construction works for the new Ouagadougou-Donsin International Airport, the Infrastructure Ministry has told APA. An amount of 3.8 billion CFA francs provided by the state will be used for the construction of the airport perimeter fence. BOAD and the state budget will finance the works related to the internal potable water and fire safety system, amounting to 4.6 billion CFA francs. All of this work will last between 18 and 36 months. At an overall cost of about 300 billion CFA francs, Donsin Airport will be in class F category of the International Civil Aviation Organization (ICAO). The World Bank, AFD, AfDB, BOAD, IDB, the Saudi Development Fund, the Kuwaiti Fund, BADEA and the OPEC Fund (OFID) are partners in the financing of the project.